This story is about Fever's son. If you haven't, please read my first story "Fever" before this. Thank you. And just like his father, Fever, Sure Fire Winner had a spark. Yes, he would run and chase the wind in the field he grazes in, and he would jump and be crazy. But that all ended soon, sooner then you could say "racehorse". Since Fever died and became history, or you may say a hero, the ranch went downhill. 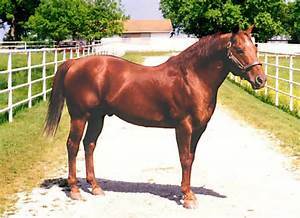 Fever was the one and only racehorse who could win the Triple Crown for our ranch. We had good horses, don't get me wrong, but Fever had something about him you couldn't beat. Our mares have gotten old, and Sure Fire Winner's mother was to be put down because of sickness. Sure Fire Winner was really the only hope for me and the others... a hope to save the ranch and continue to breed and raise racehorses. Sure Fire Winner was just a yearling. He was spunky and hyper, and didn't care about anything else but going into the field every evening and grazing. We all planned on using Fever's bridle and saddle, but Sure Fire Winner just didn't grow. He seemed like he was the same size for decades, his tail stayed short and fuzzy, and never did length like Fever's did or even his own mother's mane and tail. Children that came over on field trips always went over to Sure Fire Winner's stall and he hated being patted on his muzzle unlike his father. He'd rather be scratched behind the ear and on the back. A little girl who took interest on the T mark on his forehead began to call him "Little T" and another small little girl shouted out "Tommy". I just stood there as Sure Fire Winner whinnied as she shouted out "Tommy". It was like Sure Fire Winner was excited about that name. It was his second birthday. His mother passed and the ranch got even sicker. We just lost our best mare and still haven't had the time to properly train Sure Fire Winner. The man who owned the biggest Thoroughbred ranch just miles down the road brought over his two-year old stallion, "Oh Bop", which means "he's a thief" in Russian. The owner said he would take Sure Fire Winner off our hands, no charge, no nothing, but just to take Sure Fire Winner for himself. I didn't go with it. I said no. He hung his head, sighed and then walked away. I didn't care even if he would have given us a billion dollars for that horse, there was no way I was letting Sure Fire Winner go. That man knew something I didn't know about Sure Fire Winner. I got a weird feeling when I got closer to that crooked man. His horse was fabulous, why would he want my colt? The shortest race distance is one and one-quarter miles long but it would be the longest for Sure Fire Winner as we've never ran him for this long. We should have, but never got around to doing it. The days went by, the Kentucky Derby arrived, and Sure Fire Winner was a complete mess. Oh Bop trotted out proud and the crowd went wild. Sure Fire Winner's ears went back in fright but he was a good boy and behaved in the crowd. And in spite of his fright, I still had second thoughts about Oh Bop beating us. The same little girl at the ranch cheered, "Go Tommy!" The crowd cheered more as the horses got farther into the track and into the starting gates. Oh Bop (He's a Thief) loaded first ready to run. Sure Fire Winner reared up a bit scared, he was nothing like his father at this point. I stand up and sing with many more "My Old Kentucky Home". After that, we sit down and hear the screeching beep from the bell. "AND THEY'RE OFF!" The man yells rambling on with who’s in the lead. I kept my eye on Sure Fire Winner. It seemed like this race never ended. It was the longest 2 minutes I've ever waited. Finally, the finish line... I stand up looking at the others. I hadn't had a clue who won. It was so close, I swear it was neck to neck with the two stallions, Oh Bop and Sure Fire Winner. "Who won?" I yelled as I sprinted to the main office. The door had a sign saying, "Unofficial Winner", so I had no choice but to turn around and wait. Finally, the announcer came on and many people rushed to the Winner's Circle. The official winner was Sure Fire Winner! Well, he didn't get that name for nothing! I knew he had it in him... I just knew it! Beautiful red roses hung over the arched and sweaty neck of Sure Fire Winner as the man who asked for the reins clapped please to see the cup. But one thing he wasn't pleased about, it wasn't in his hands. Many hours later, the celebration was over and I walked out to the stall of Sure Fire Winner, apologizing for never thinking he had it in him, that spark. I mean I knew he had it but just didn't believe it. "Oh Bop is absolutely amazing. He has the color, the legs, the heart, but he has one thing you don't have," I said as I rub the T mark on his forehead, "the history". Sure Fire Winner whinnied. I got the feeling he knew what I was talking about? All of a sudden, I felt a tug on my jacket. As I swung around it was that little girl. "Can I ride him?" She asked as she pulled a bucket to see over the stall gate. "Maybe, someday." I reply as her mother came and got her. That night I thought about it. That little girl thought he was a pony to ride and that man laughed in my face. Oh Bop was no joke. He was big, and in racehorses, bigger is better. You want a lengthy horse like Oh Bop. Fever was ready by now and ready by a million points to win and I still had second thoughts about Sure Fire Winner. I really didn't know if he was ready to run the second longest race but I couldn't tell the future. The days passed and The Preakness was right up our alley. Just thinking about it was scary. Press Panel, which meant the newspaper people wanted more info about our boys running in the race, I told them the truth, I didn't lie when they asked if my horse could win the second race. I said I can't tell the future and just gave them honest replies. I knew after that, it all of a sudden turned real. Sure Fire winner was now a real horse. He won the Kentucky Derby, now he must win the Preakness. Oh Bop was ready. I know I've said that before but it's the truth. He's ready to beat my boy Sure Fire Winner. Finally, about 2 weeks later, it was time for that race. A big semi truck hauled Sure Fire Winner into his stall making a screeching beep backing up. The two men grabbed Sure Fire Winner clinching their hands around his halter. Sure Fire Winner led great but there was something off. I looked down the aisle of stalls as the men loaded him into his. There at the paddock, my eyes caught Oh Bop and his owner. There were many people with cameras and many people without, but not one to my horse. So as my cocky self, I walk up to Oh Bop's stall. I run Oh Bop's nose. It seemed like he liked it and was a complete new horse. He was nothing like I thought he would be like. He was kind and gentle. "Uhm.." I hear a mumble behind me. "This is my horse." The man who owned Oh Bop mumbled. "I know." I said as I turn back to Oh Bop. "I just wanted to say hello to the stallion who might win." I said, rubbing his neck gently. "Guards! Please tell her to leave or I may press charges." The man says walking away as many guards and police walked around me. "No need to fret, I'll leave." I said walking back to my horse. Sure Fire Winner ate his feed in his bucket. He was calm and it was almost like I saw Fever in that stall. "Run good today, okay boy?" I smile as I walk away. I couldn't believe how fast time flew by. Last time I looked, it was 2 hours from the race, now it's 2 minutes. I couldn’t believe it. People started dragging Sure Fire Winner out of his stall, saddling him up, and before I knew it, a man yelled "Riders Up!" I knew at that moment, the race was right around the corner. Literally. Oh Bop bucked and pretty much dragged the men to the race track. The man who owned him, sat tapping his foot to the hoof beats of the stallions trotting. "And they're off!" The announcer yells and the horses take off in the flash of lightning. Sure Fire Winner took the lead but not for long. Oh Bop was right behind him. I swear this time, Oh Bop's hooves were smoking and I don't say that about every horse. I knew Oh Bop wanted the lead and not just him but the jockey and his owner. His horse had the front page of the newspaper. I was shocked. I knew the crew and I had to step it up. The first turn of the race, it was about 1:50:4. I kept an eye on my watch as the second turn came around. The thunder of horses running was so loud. Every hoof that touched the ground I would count. I had a timer and everything that I thought I needed. "He's gonna do it... He's gonna do it!" The announcer yells but I didn't have a clue as to who he was talking about. Was it my boy or that man's stallion? WHO WAS IT? "This can't keep happening!" I panicked. I couldn't understand the name for one, and two, why in the world have these two came to America? The reporters shook their heads. Some like they understood the Mumbo Jumbo the man spoke, and then some shrugged not sure what he said. "Wait, sir!" A man with a camera asked, "Is this horse sired by the famous American Pharaoh?" Hanging their microphone closer so the man so he could answer the question. "Yes, my horse is here now and ready to WIN THE BELMONT!" The Arabian man shouts and everyone cheered. That night when I came home, I sat on the couch thinking hard as Peter walked by. "Oh Peter, wait!" I shout. "Well, can you call the vet and make sure, Sure Fire Winner's in tip top shape, and would you mind staying at the Belmont stables tonight? I don't trust the other racers, they would be more than happy to make my horse get colic." Peter shook his head and got on the phone. It was time for bed but gee, I couldn't sleep. I was ready for the race, Sure Fire Winner was at the Belmont stables so I couldn't go spend time with him. I was bored. I went out to my stables and looked over the stalls. All the horses was standing and some laying in a deep sleep, that’s something I should be doing probably but I was too nervous. They saddled up Sure Fire Winner as I walked around the bleachers nervously. Crowds of people swarmed in by the dozens, cameras and microphones were everywhere. People talking and crazy nonsense, horses being saddled and soon the man yelled, "Riders up!" I knew right then and there it was no joke. He was or wasn't going to be the triple-crown winner right now, so I rushed over to the V.I.P seats and sat down with all the famous racehorse owners. The horses walked out on the track, I knew it was time for the race. I tapped my foot with the sound of people cheering. Out walked Sure Fire Winner and then Oh Bop, and then behind him, Bill. They walked to the starting gates. Sure Fire Winner throws his head a bit shy from the starting gates. I flinched with the bang he made. Oh Bop challenged my boy for the lead. I was surprised that Bill wasn't fighting the two for the lead, but instead he was lagging behind. I was pleased in such a way. "He's gonna do it, he's gonna do it!" The man yelled. My heart stopped. I was so afraid at that part I couldn't see straight. Then, at the very last minute, a beautiful red sorrel stallion crossed the finish line. I was in shock. It was over! And MY HORSE ran the triple crown and WON, I couldn't believe it!!! Thank you for staying tuned with my story. I’m gonna probably write more, but first please comment and tell me if the last part is as good as the whole story. I was so mad. That man would go that far to call my horse a mix breed. I could have spit on the floor, but didn't. I was trying to act like the better person. I went home, and watched Peter walk Sure Fire Winner doing his evening rounds. He was beautiful and the sunset setting on his back was amazing. He looked happy and I knew, I knew deep down inside, he was ready to win the Belmont. Tomorrow was the Belmont, the big day. It was live or die right now, right here and my horse had to do everything. I walk out to the stables. He was already moved into the Belmont stables. Cameras and men with guns stood outside the stable doors. "Hey boy," I rub his ears with a smile. He was nothing like Fever, I'll say it again but it was him that I liked. He was himself and different... unique... and that's what made Sure Fire Winner a winner. "Can you believe it?" I ask him. Sure Fire Winner whinnied happily. As I look down to his feeder, picking up some hay, I suddenly hear an engine and commotion. Reporters and cameras and whatever comes after that were all circled around this semi with a horse trailer. Out walked this huge, black stallion. He was magnificent, a beautiful coat he had. His hair was short and straight. I had to go see. Trying to get through the crowd of people was like trying to grab the last bridle in a tack store but I managed. The owner was dark-skinned and I knew right away they were Arabians from heart. "Sir... Sir!" A reporter yells with his microphone in front of the black horse's owner, "Can you tell us the name of your horse?" The man smiles proudly. "His name is بيل (Bill)." I knew it wasn't true and it was so rude of him to trick someone who wants to play fair. Me and Sure Fire Winner aren't cheaters... never have and never will be. It just frost my cookies. The man left my yard. I was pleasantly happy. I knew Sure Fire Winner needed work on a lot of things. His stride's a little rough. His jockey needs to work on things too like maybe how to pick up his sock on the floor. That's about it. About 4 days from the Belmont, it was getting scary close, but Sure Fire Winner was as calm as could be. So that day, I thought I would go down since I was invited to the Press Panel. Oh, so many cameras and nonsense! Someone, anybody was just trying to get me to spill the beans on what our secret is with Sure Fire Winner, and right there sat the devil. I swear the man who owns Oh Bop was, he had red eyes and so did his horse. "Is Oh Bop ready to win the Belmont?" The man nodded. "Well, yes, why wouldn't he be? The big deal is, will that, oh what do you call it, mix breed of a horse get out of my horse's way?" Oh Bop's owner stomps his foot. "M-mix breed?" I spoke up. "Excuse me?... he's a pure thoroughbred stallion. Mix breed?" I laugh. I was shocked that he would go that far. Number one, they wouldn't let me enter a mix breed. And number two, well if there was a number two I would totally tell. "And you Mrs., is there any chance your horse will be the triple crown winner? Any chance?" The one reporter asked snapping pictures. I shake my head. "Of course, there's a chance!" I smirk. "And you sir... do you have any replies?" Oh Bop's owner shook his head with a smile. "Keep telling yourself that, and maybe... just maybe, it'll come true." He stands up leaving with the crowd of people. Sorry guys, it took so long to get the fifth part on here. Sorry to keep everyone waiting but no more. I'll continue the story till the end! *Smiles* Feel free to comment! The announcer yelled, "It's a TIE!" I couldn't believe my ears nor my eyes. My horse and that man's stallion, it was crazy. So many people with microphones and cameras in my face asking me questions. It was like a once in a lifetime thing for two horses to TIE at the Preakness. Never happened in history. There have been close calls but never a tie. The man who owned Oh Bop walked up to me. "You better figure out what you're doing," he shouts. "Either win or lose but keep out of my horse's way." He walks away. I just stood there. He wanted to get under my skin but that ain't gonna happen. I’m not like that. Many people wanted me to talk, I didn't want to. It's been a long day. I wanted to go home and think about what to do for the next race. I knew it was Sure Fire Winner or no one to win the Triple Crown. He won the Kentucky Derby and now the Preakness. Well, sort of. The days passed, Sure Fire Winner eats his normal amount of feed and just was being a dear. The groomer, Peter Henderson, Sure Fire Winner's best friend brushed him and loved him. It was a beautiful morning and I walk out to the field as the groomer and my horse took a walk. "How's he doing?" I ask. "Good as always," Peter said doing big circles with the horse. Sure Fire Winner whinnied walking sideways and being frisky and hyper. All of a sudden, I hear a honk. It was a semi with a trailer, a big trailer for a horse. I didn't know what was going on. I didn't have one clue. The man rolled down his window and shouts out to me, "The Belmont Stakes are being arranged sooner than we thought. Instead of 2 weeks, it's a week, so let's get him loaded." The man jumps out opening up the doors to the trailer. "But wait, they can't move the dates, THEY JUST CAN'T DO THAT. That’s against the rules of racing!" I yell glancing at Sure Fire Winner and Peter. "They just did, Miss." The man says waving for Peter to lead Sure Fire Winner to the truck. This is crazy. There is absolutely no way in the world my boy was ready to race. "Just wait.. let me call the main office.. this is unbelievable and there's no way it's true." I run into the barn and dial the number. 5 minutes later, I knew it was a lie. I knew it couldn't be true and I was right. I called the main office and the women at front desk said the date was still on and wasn't changed, someone pulled my leg and was trying to get us messed up on the dates and probably miss the Belmont. NO WAY! Sure Fire Winner is definitely going to run in that race. There was only one person I could think of, the man who owned Oh Bop, I knew he felt threatened but for someone to play a nasty trick like that wasn't on the ground with both feet. I run out of the barn and started talking to the man with the semi. He couldn't believe it ether. That man was desperate to win the Belmont. Please comment! Thanks! Part 3 soon! I hope it's as good as the Fever story. Please comment and tell me what you think. Thank you!